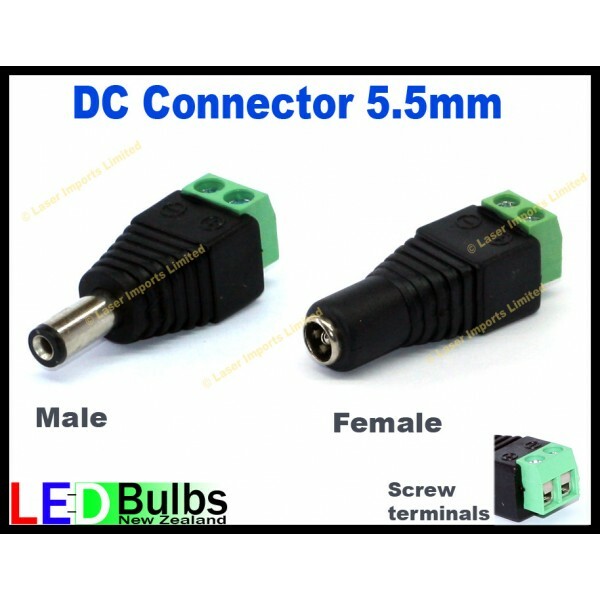 1x 5.5mm DC male or Female connector with screw terminals on the back so you can easily connect wires to it. No soldering needed. This is great for when you are mounting your led strip lights outdoors and want to keep the power supply indoors. Order a malle and female and make up your own extension for the strip lights. These are also used on most CCTV cameras. Choose from Male or Female.